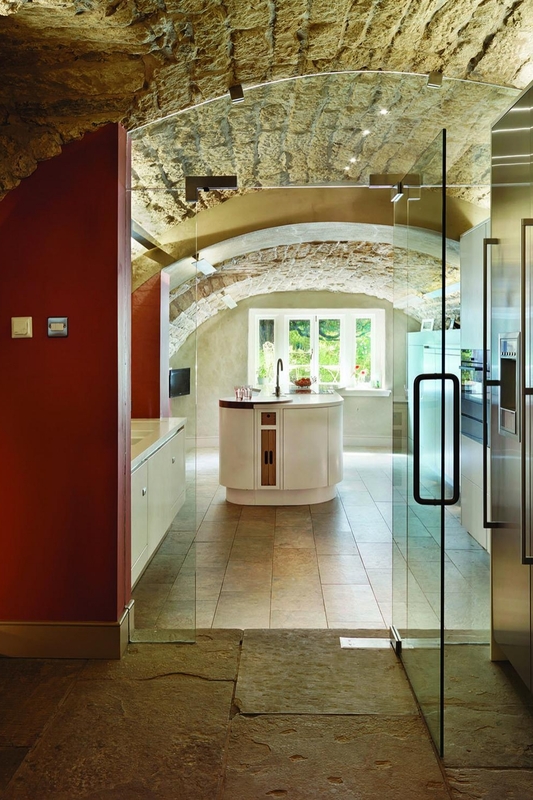 Longing for a contemporary open plan kitchen, the Daltons thought this could never happen when they found and fell in love with a 13th century five storey townhouse in St Andrews. They almost passed the house by because the refurbishment seemed impossible but a close friend and architect convinced them otherwise and so in blind faith they jumped on board and committed to the property. 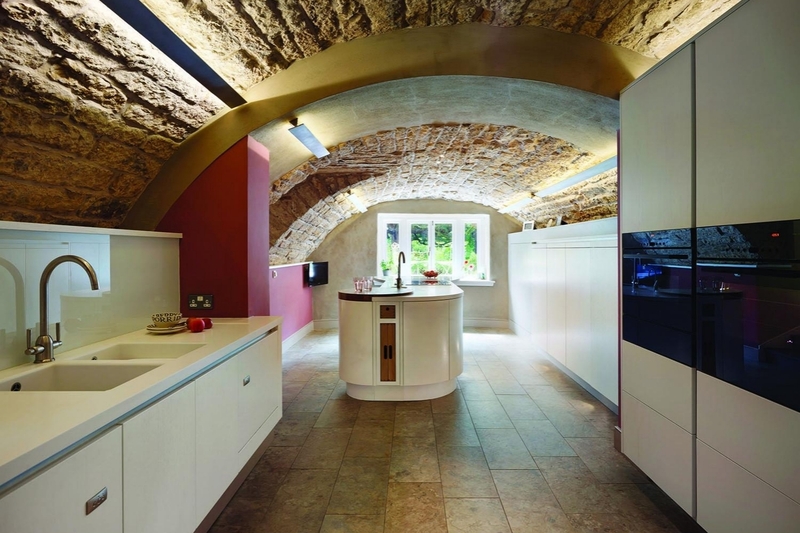 The architectural design intended to knock together two of the three vaulted cellars, to create a long open plan kitchen/diner. 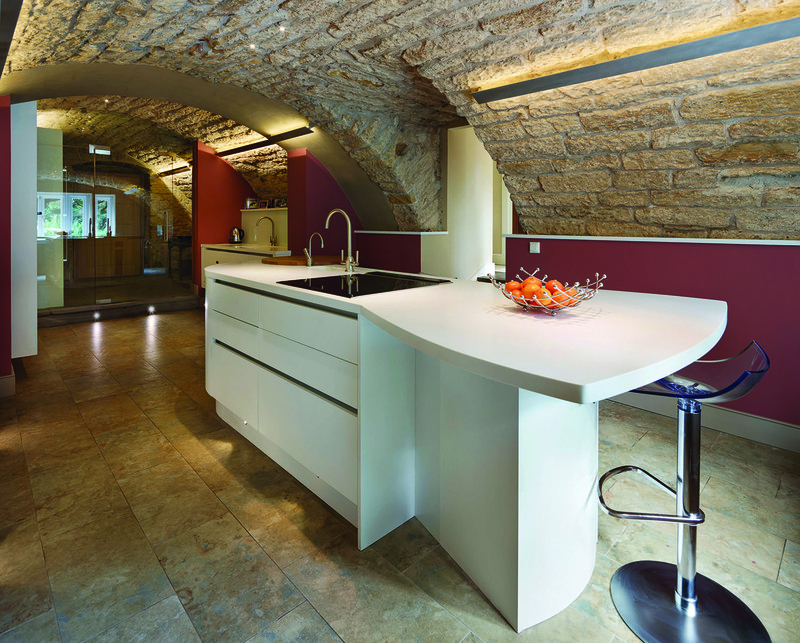 As owners of a local restaurant the Daltons know a thing or two about kitchens and were clear from the start about the style they wanted. 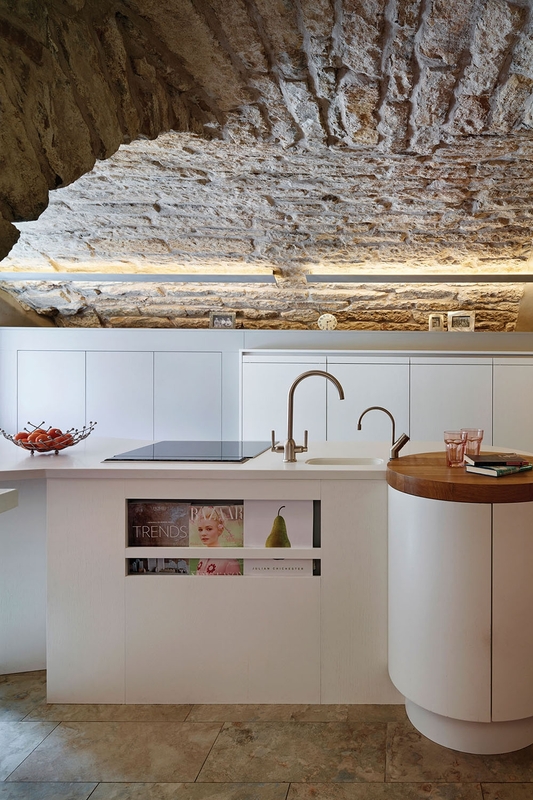 They were looking for contemporary cabinetry that would set-of the medieval stone ceiling but it had to be functional as they entertained often. 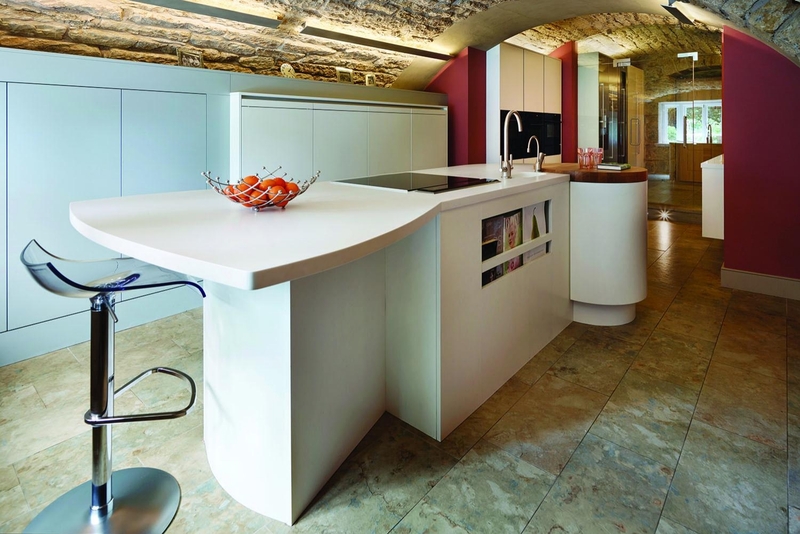 We designed the large island unit to be the social hub of the kitchen, positioning it in the brightest part of the room. It includes a six-seater dining area and magazine storage so guests can sit and relax while food is being prepared. 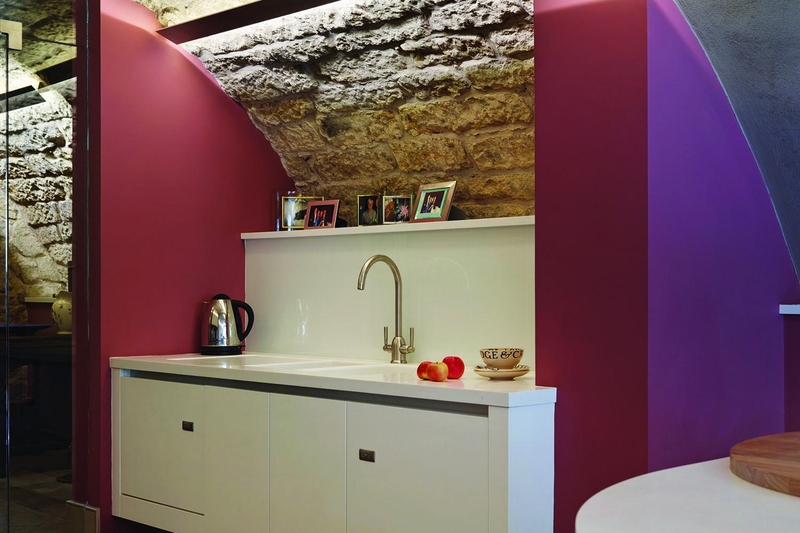 Painted Callerton cantilevered oak units were chosen with a matching Corian worktop to create a very bright kitchen while colour was injected with accented painted rusty red walls. Working with a lighting designer to create long aluminium housings for LED strips, providing a warm, linear light up and over the arc of the ceiling.